The sale of the 4G licences to Egypt's mobile operators has generated around $1.1 billion in addition to EGP 10 billion ($1.1 billion) for the state’s public treasury, the Minister of Communications and Information Technology Yasser Al-Kady said on Sunday. “The hard currency transfers are coming from abroad, which is considered as direct foreign investment that doesn’t depend on the Egyptian banks,” Al-Kady said, according to state-run news agency MENA. Egypt’s mobile operators Vodafone and Etisalat have received 4G licences, which will allow them to increase and improve internet speed and launch virtual fixed lines services, the telecommunication ministry said on its website on Sunday. According to the website, the state’s National Telecom Regulatory Authority (NTRA) signed on Saturday the 4G licence agreements with Vodafone Egypt and Etisalat Misr for $335 million and $535.5 million respectively. Orange Egypt, the second-largest mobile operator, was the first mobile company in Egypt to acquire the new 4G licence for $484 million last week. Each of the three operators also paid $11.3 million to be able to provide landline services. As of the signing, the total frequencies for Vodafone Egypt and Etisalat Misr are 42.5 MHz and 40 MHz respectively, the ministry said. On Friday, Orange Egypt stated that NTRA has agreed to provide it with a spectrum of 2×10 MHz, as opposed to the 2×2.5 MHz to 2×5 MHz initially offered. The three mobile operators declined in September to apply for the 4G licence under the NTRA's previous conditions, after which the national regulator considered offering the licences in international tender. 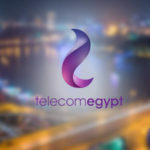 Telecom Egypt (TE), the country’s sole landline operator, was the first operator to sign the deal with the NTRA in August, buying a 15-year 4G mobile license. Vodafone Egypt is the leading mobile operator in Egypt with around 40 million subscriptions, Orange is second with 34 million and Etisalat Misr comes third with 22 million, according to the telecommunication ministry's data that was published in July. Mobile internet subscriptions reached 27.3 million as of July 2016, the ministry said.